Colin Oliver lives with his wife in a rural community in England. He says of his writing, "Much of my poetry flows from an experience of at-one-ness with the world. A blend of observation and imagination bring the subjects of poems to me, but I'm keen to distill my work through the craft of writing. I'm also a great reader of poetry from different cultures and would name Rumi, Basho, Han Shan and Emily Dickinson as some of the poets who inspire me." His poetry has been published in various magazines, mostly in the United Kingdom. He has also had some books published, including Stepping Into Brilliant Air (available from The Sholland Trust or Amazon UK). 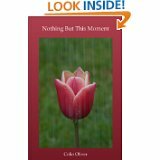 The poetry section contains a brief selection of some poetry by Colin Oliver.